Many people probably aren’t aware it’s possible to customize the Chrome browser. The options include the ability to change the color scheme. However, until now, those choices were quite limited. But, Google changed this with the release of several new color palates. The new Google Chrome color themes aren’t from third-party sources, either. Google itself released the options. Simply go to the Chrome Web Store, select a color theme, and then click on “Add to Chrome.” To undo it, just undo it or go to chrome://settings/appearance. Google added twelve more choices to its long-offered Classic Blue palate and Black & White theme. The new color choices include: Just Black, Slate, Oceanic, Ultra Violet, Banana, Honeysuckle, Rose, Serenity, Sea Foam, Marsala, High Contrast Colorful, and Pretty in Pink. 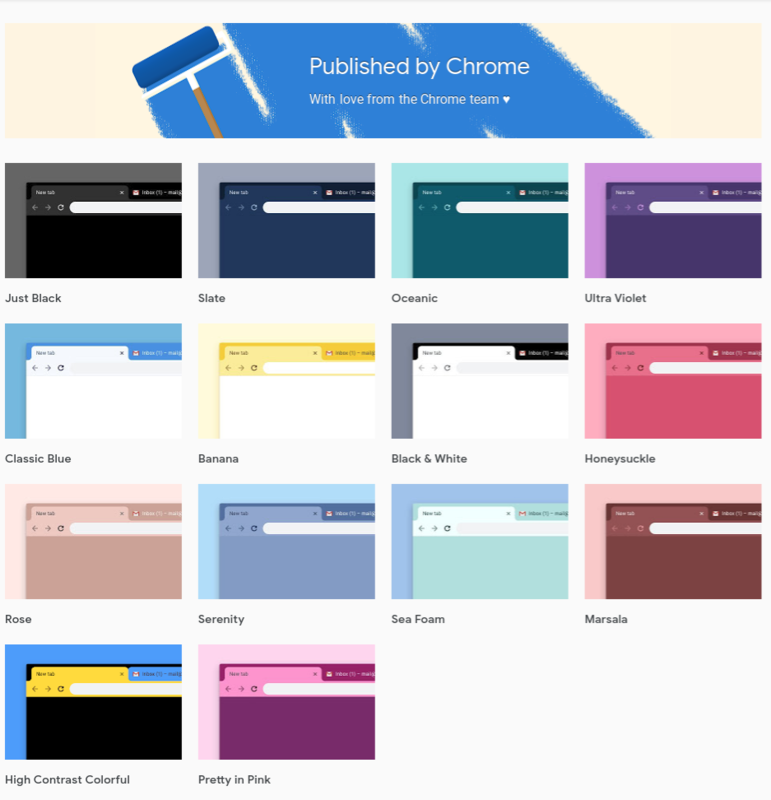 These new Google Chrome color themes work with all versions of the browser. Although, applying them won’t change the color of the omnibox, which remains white. But, Google is rumored to be working on a fix to make it conform. Chrome remains the most popular web browser, boasting 64.63 percent market share. Internet Explorer, which Microsoft wants people to stop using, is a distant second with 10.49 percent. Firefox, Edge, and Safari round out the top five with 9.83 percent, 4.3 percent, and 3.79 percent, respectively.